China and Italy. Many people associate the Chinese universe with large-scale goods, the fateful “made in…”, the Esquilino district in Rome, the Paolo Sarpi area in Milan, the textile plants in the Prato suburbs, the restaurants scattered around Italy… China is often thought of in a trivial way, that fails to catch its anthropological complexity, its many facets, the age-old heritage of its people, who keep one eye on the earth and the other on the sky and its alchemical secrets. China and Italy: two huge cultural wellsprings – the most ancient on the planet indeed – that have defied history itself and managed to withstand it, eventually producing real economies and top-quality artefacts, as well as developing their respective approaches to medicine and exporting sophisticated regional cuisines. Two Molochs that symbolise the synthesis of west and east: two opposite views, yet reconcilable by virtue of a relational principle of enlargement and completion, which applies to opposite cultures that cling to a common value, perceived as fundamental and universally mutual. Born in 1957, Li Xiangyang belongs to the Chinese mid-generation – a generation that is now adult, but was young shortly before the capitalist boom and grew up in late Maoist China, where everything was changing: goods started to be sold on a global scale and the market began to open up, while progress was speeding up the planetary shock wave. Li Xiangyang knows and loves Italy – he studied in Rome, exhibited his works in the capital (but not only) and spent several years in our country, where he returns with cyclical regularity, attracted by classical iconography, by the specific weight of the enlightened centuries, by the educational value of our avant-gardes. This is actually that principle of enlargement and completion I mentioned a few lines above: by acknowledging the metaphysical value of painting as a red thread between China and Italy, Xiangyang also seems to credit these countries with laying the foundations of that figurative art which still inspires foreign artists who mark new milestones in the history of painting. Shortly, we will delve into the heart of Xiangyang’s career and into the peculiar stages that eventually led up to his recent works, around which the exhibition housed by Palazzo Collicola Arti Visive revolves. The dialogue with a Chinese artist takes on a special meaning in Spoleto, as the city of the festival proves itself once again as a place for exchange, a laboratory of open dialogue, a stronghold of linguistic hybridisation. As an art director, I felt the need to interact with a country which is at the centre of a geopolitical debate, as to catch the connective directions of the near future. Xiangyang’s nomadism, emblematic of a peaceful fusion between west and east, country and metropolis, dream and reality, utopianism and awareness of reality, is the perfect materialisation of this exchange. His vicissitudes seem to bear testimony to the great complexity hiding behind registry office certificates, political oratory and the stories hyped up by the media. Let yourself go, let your mind enter his paintings –they will give you many more answers than any journalistic essay ever could, because art slips beneath the visible layer of reality, drilling the crust of everyday life and sounding the options of plausibility. Xiangyang resembles an amplified awareness of the present, a psycho-analytical radar that undermines the rhetoric around China, trickling over his paintings what TV and cinema hardly ever catch. The theme of resolved contradiction pervades Xiangyang’s visual and conceptual thought. Let us make it clear: this does not mean being inconsistent, but rather searching for some harmony among the chaos, for some fluid bond between reconcilable differences. In order to reach such a precarious balance, the artist embraces differences and connects them, forcing contradiction in a dangerous yet possible way. Ambivalences are indeed his solution, the approach he adopts to resolve conflicts: Xiangyang defies the realistic nature of paintings, juxtaposing to reality a world turned upside down, the human flight, black-and-white memories or overlapping colours: darks shades over light ones and the other way round, and dull shades beneath bright ones. His painting is a big laboratory of dialogue between reality and imagination, where possible and impossible bear an uncanny resemblance to each other. Xiangyang’s early works follow in the footsteps of figurative tradition, being rooted in French Impressionist movements, in the canonical genres of Modernism and in 19th century European art, that influenced Chinese academic culture. At the same time, they feature come echoes of the European and American return to 1980s appropriation art, in the tradition of Trans-Avant-Garde, that in Italy was to become the centre of theoretical debate, thanks to Achille Bonito Oliva’s intuition. His debut works follow a linear, yet not obvious trajectory: the artist deals with the topics of portrait, still life and landscape. Apparently his quiet glance records a private world – just as Pierre Bonnard used to do – narrating the chromatic sensuality of shapes, the sinuosity of normal bodies, the gestural energy of naturist vibration. Yet, behind this façade of excessive normality, he develops a linguistic relationship with postimpressionism, following in the footsteps of those artists who had thrown the en plein air philosophy into question, turning their gaze back to the interior and painting private rooms with “photographic” precision. 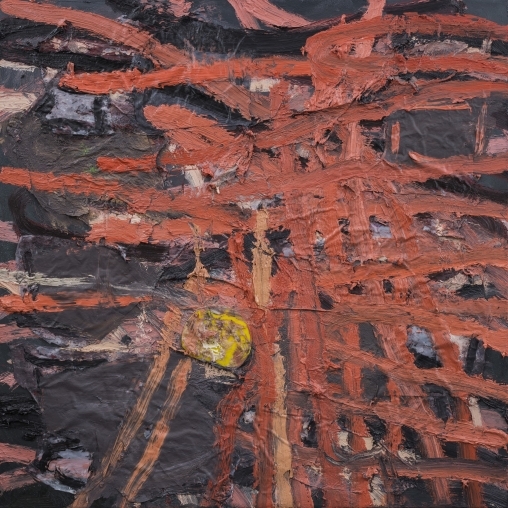 For Xiangyang, this means broadening the horizons of the academic view of Chinese old masters, isolated in their own country and far away from the European cultural debate; at the same time, it means reflecting on the way Maoism used to stretch the truth and pursuing a more intimate, propaganda-free painting, that eventually produces a narcissistic approach previously unknown to China. While going beyond genres and academic dogmas might be an obvious concept for us, it was not as obvious in 1960s China, where uniform consensus was a much longed-for goal. Li Xiangyang is the exemplary symbol of a generation of rebellious children, open to a changing world and determined to interact with the Western archetypes and great masters, respectful of their own country, but aware of historical relativism. Of course, it was not to be expected that Li Xiangyang could limit himself to country landscapes and floral still lifes. Soon things start to change. Feeling that traditional genres are clipping his wings, he starts pursuing different directions: on the one hand, the complexity of his line gradually fades; on the other, his metropolitan tales assume a surreal connotation. Let us start from the former direction: his line becomes thick and informal, a sort of flood that seems to cover his figurative early works. Yet, something survives this tsunami of matter: faces and eyes can be glimpsed, stylised figures appear, as though the figurative nature of the artist, his conscience that cannot be stifled by gesturality, emerged from the informal sands. You can smell the scent of a storm of matter, of cosmic explosions, raw flesh, rebel natures, muscular hurricanes; painting sends away the ghosts of the past and floods them; yet, instead of killing them altogether, it leaves some open fissures and upwards-flowing currents. The second direction was actually born from that open fissure, from that oxygen hole that allows flooded figuration to resurface. An informal flooding obviously turns traditional genres (portraits, landscapes, still lifes) into a meta-genre, a “different” kind of figuration waiting for the right moment to unfold. Xiangyang’s early works have now changed, and reveal a different attitude, developed through his conflict-resolving dialogue with both the West and his own country. It witnesses to a reached stage of maturity, that passed through theoretical reasoning, linguistic method and the way of observing, selecting and modulating things. Xiangyang’s attitude resembles the pulmonary breath of a living body. Contraction and expansion mark the incessant rhythm of breathing: inhaling air from the outside and filtering it as to only let the useful component in, which is then converted through the proper aerobic process. Xiangyang’s cultural approach leads him to undergo a similar passage: he interacts with the manifold identities of Western art, absorbing its roots and its linear developments and metabolising its contradictions through his process of figurative atonement. The aerobic action is continuous, implacable, vital, just as his pictorial action is unrelenting and without destination: an incessant challenge, painting after painting, while canvases turn into battle fields where brushes slide noisily and leave indelible marks. Also the thematic passages from one stage to the other resemble the breath code. In all his works, whether they reveal an abstract matrix or a figurative approach, Xiangyang keeps a double register, an inner and aware dialogue, a twofold personality that solves the issues of contradiction, of cultural dialogue, of comprehensive synaesthesia. Let us take a look at his 2009 vertical works, those geometrical totems that resemble pentagrams protruding skywards. Their vertical orientation contrasts with the horizontalrectangles gracing the background like notes on a score, played through the colour and harmoniously blending with their surroundings. The painting is animated by an evident throbbing spasm: it contracts and expands, following the pattern of its own chromatic contrasts, bridging the apparent differences and proving the possible coexistence of unrelated elements. These are Xiangyang’s more “Eastern” works, whose closeness to Chinese writing confirms how differently abstraction can be perceived by a culture using an alphabet of pictorial signs. These paintings precede the current phase, but they never disappear altogether. Indeed, they complete Xiangyang’s personality: significantly, his 2013 production features an artwork in this style, like an echo reverberating from the past. In the throbbing geometry, his by now metabolised origins consolidate, along with his cultural heritage: figuration and gesturality reassert his ambivalence as a biological engine between east and west. Xiangyang’s early works strengthen the feeling that paintings have a life of their own. Let us take a look at his 2013 and 2014 works, where the artist flies over a contemporary city, dedicating an area of the canvas to black-and-white memories, to the natural origins, to country landscapes and to the drawings on parchment typical of Eastern iconography. Inhaling the past of the origins, exhaling the chaos of the present: two eyes, a double gaze, a twofold soul whose components, however, are never apart. A figurative breath in the honest heart of painting, where the present preserves traces of memory and progress does not forget its ancient-old roots. A Chinese approach, as I said at the beginning, that keeps one eye on the earth and the other on the sky, on the wise assumption that body and spirit are two facets of the same vision. Xiangyang’s Pindaric flights symbolise an impossible gesture that does not have any of the connotations typical of surrealism; on the contrary, it represents an elevation of thought, a holistic act where painting shows the challenge undertaken by one single individual in that collective ocean called China. The artist flies over the world and rises up high into the sky, hovering like a Michelangelesque angel or a fantastic nephew of Marc Chagall. Elegant and impassive, he is like a bird dressed in dark clothing, overflying royal places. Aesthetically reminiscent of the protagonist of “Birdman”, Li Xiangyang observes the contradictions of urban progress, the beauty of Italian landscapes, the landmarks of Chinese metropolises… he takes soft, silent steps through the sky, quick yet attentive while looking down at life. The world changes, progress ferments, cities turns into different places, but his eyes stay alert and intuitive like those of a clairvoyant.